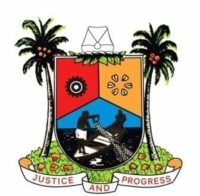 As part of measures to address the challenges in processing and granting of Planning Permit, Lagos State Physical Planning Permit Authority (LASPPPA) has reviewed its operations to ensure there is no backlog of files, thereby enhancing service delivery to all residents in the state. Speaking during the exercise which commenced on Wednesday, the General Manager Tpl. Funmi Osifuye disclosed that the “exercise is aimed at improving the output of the Agency by overhauling the process of issuance of permits”. He explained that LASPPPA is strategically reviewing clogs that hitherto acted as impediments to the processing of planning permits, adding that the exercise will ensure existing buildings and proposed ones are covered with statutory Permits, thereby ultimately reducing the incidence of building collapse, improving public confidence and enhancing the megacity status of Lagos. The ongoing review of operations will be carried out by all the district offices of the Agency across the five divisions of Lagos State.